The striking and vey popular burnt ostrich feather headpiece in black. 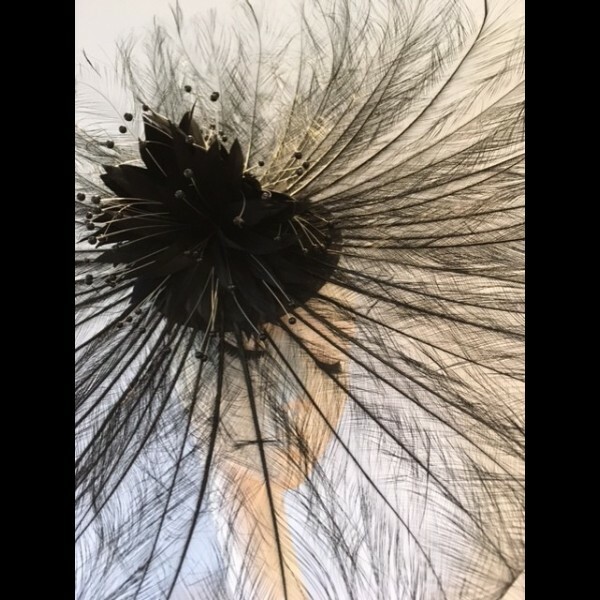 A striking headpiece with glorious burnt ostrich feathers in black. Mounted on a small black sinamay button base which is secured by a slim silver hairband and small comb. 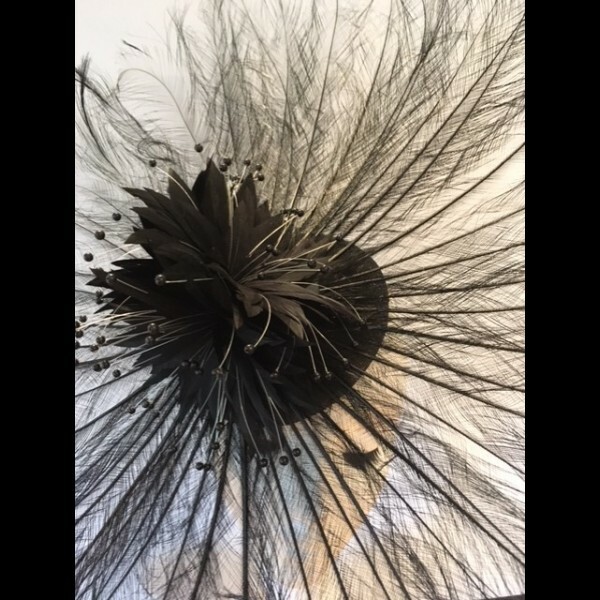 In the centre of the headpiece are black feather flowers. 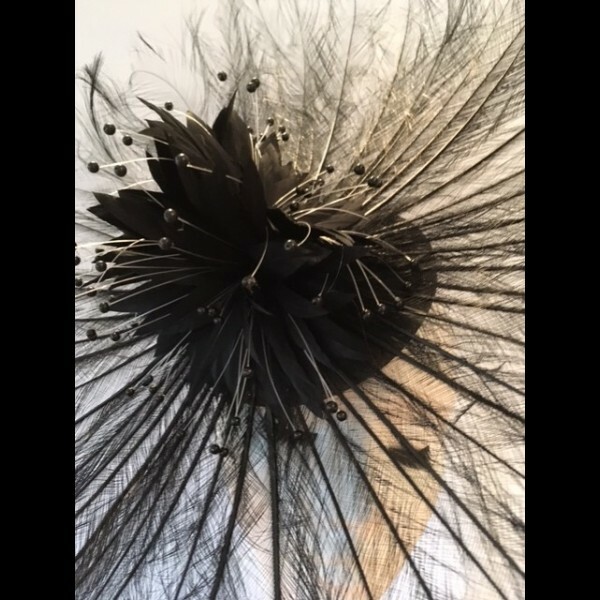 This headpiece is available to hire, by collection only from the studio in Maidenhead. This style ofheadpiece is also available in:- Scarlet, Black (with accents of blue), Coral, Purple, Royal Blue, Natural/Gold and Light Navy.